Kishore Biyani's India Food Grid project will redefine India's complex food and FMCG supply chain. 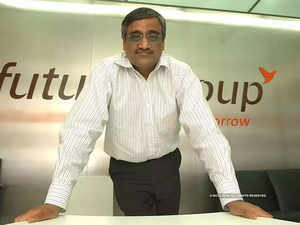 Future Group has identified 38 locations across the country, which will be developed into large food and FMCG distribution centres with envisaged investment to the tune of Rs 1,000 crore. The project is meant to redefine India's complex food and fast moving consumer goods (FMCG) supply chain. "India Food Grid is an ambitious project by us that connects the entire country through a single, multi-layer network. Any supplier, small or big, can join this grid anywhere for further distribution across India. India Food Grid will ensure timely and efficient food, grocery and FMCG distribution," Kishore Biyani, Group CEO of Future Group said. It has identified 38 locations across the country, which will be developed into large food and FMCG distribution centres with envisaged investment to the tune of Rs 1,000 crore, the company added. Consumer products will get distributed from an integrated food distribution centres to retail stores in a radius of up to 225 kms. The company Friday inaugurated its distribution centre in Shambhu Kalan in Chandigarh, Punjab. The distribution centre is set up on 2 lakh square feet of built up area and will cater to distribution of consumer products for up to 300 stores in the region.